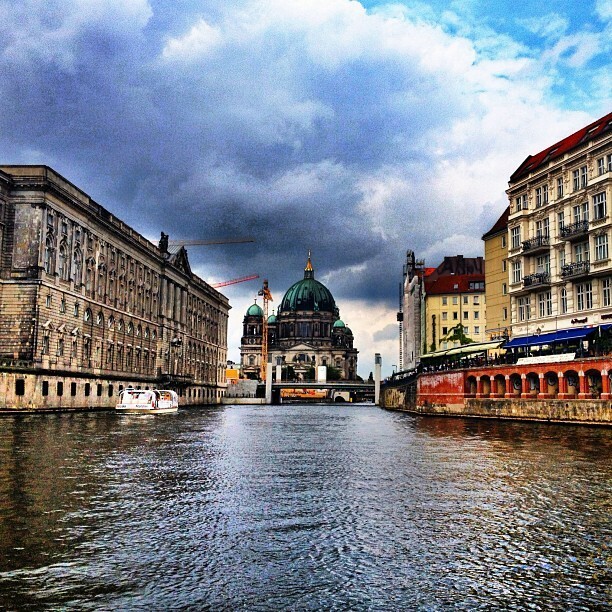 Instagramming ... A Berlin Boat Tour Along the River Spree. While vacationing in Berlin this summer, I finally did some of the touristy things I’d always longed to do when I lived there but had somehow never found the time. One of these was doing a bike tour of Potsdam and the other was taking a boat tour along the River Spree. No serious traveller (especially a travel blogger like me) likes to admit to doing touristy things. We pride ourselves at uncovering “off the beaten path” experiences by showing you something weird and offbeat like a Michael Jackson Memorial in Munich or a cat sanctuary on a boat in Amsterdam. When I rather sheepishly told my German friends about my plans, they expressed their delight and told me how they’d all been on a boat tour multiple times. 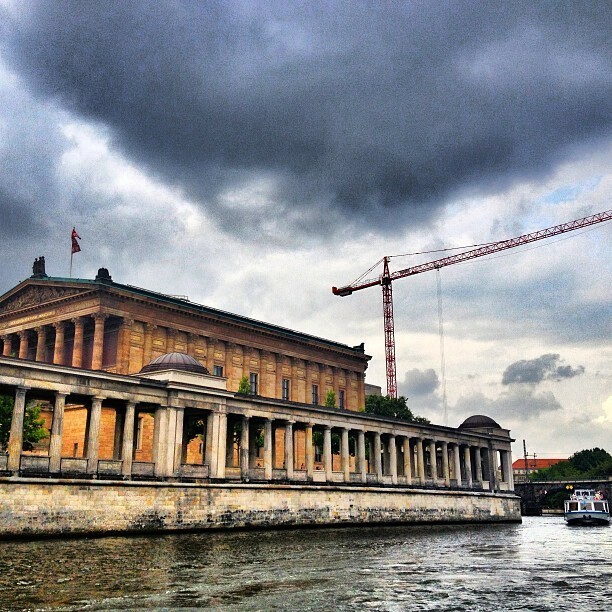 So without shame, I made my way to the Museum Island area one afternoon and hopped onboard a boat that was just about to depart for a short 2 hour tour around East Berlin. There’s simply no better way to see Berlin. Although taking a calessio tour isn’t so bad either! 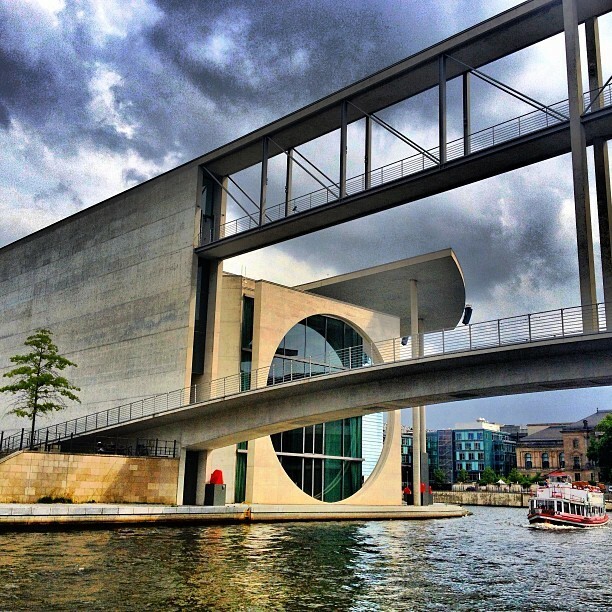 Anyone who thinks Berlin is an ugly city needs to take one of these boat tours to realize just how beautiful it really is, especially when you get to take in notable attractions like the Berliner Dom, Reichstag and TV Tower from this unique vantage point. 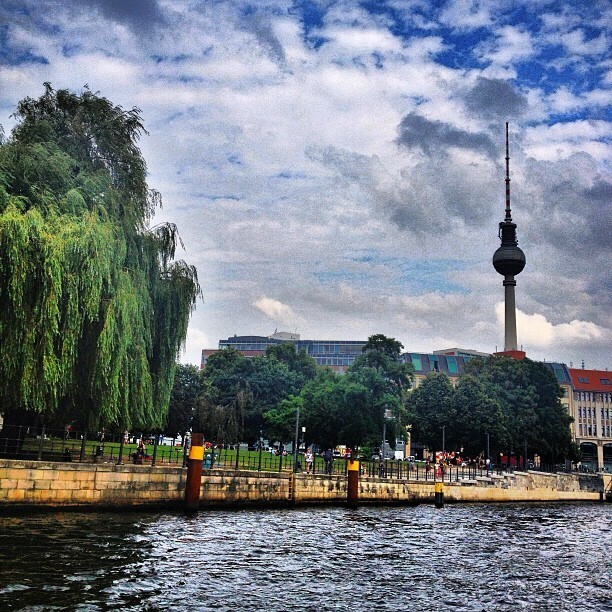 Here are just some of my favorite Instagram photos from my Berlin boat tour. There’s many options available if you’d like to take a similar tour. Some are longer in duration (taking you to West Berlin to see the Molecule Man for example) and offer food/drink so expect prices to vary accordingly. Just hit up Visit Berlin for further information. An audio guide in different languages is usually included in the tour so you can learn all about the important landmarks you’re passing and their historical significance. Or you can be like me and skip the audio tour just so you can take loads of photos. One of the absolute best times to take a boat tour is at dusk. It’s pretty romantic (much like Budapest at dusk) and you’ll get to see views like the one below! Sometimes the touristy things are the most fun! Great Instagrams. I can’t wait to get back to Berlin. Muza-chan – Thanks so much. Jennifer – I agree. And thank you. Don’t you just love river tours? ANY excuse to get out on the water makes for a great day! Love the pics, Cheryl – inspiring. The GypsyNesters – Agree, I certainly do! Thanks for the uber kind comment. Frank – Yes, so much beauty and history! Absolutely gorgeous images! While I respect your pursuit of the unusual and off the beaten path, I have found that touristy trips are often popular because they are a fabulous time and offer beautiful views and experiences, so I sometimes still choose to pursue the popular choices because truth be told, they are popular for a reason. I love the first one the most. Sad that you can`t see the Festival of Lights in Berlin this weeks, you would defenitely love it!!! I didn’t know that people build their own boats! It would be hilarious to see some of them in action. I think I’d enjoy this! We’ve only been in Berlin for a week but we like it so far. Andy and I will have to get to a boat tour quickly before it starts getting too much colder. Beautiful shots, Cheryl! They brought me so many memories… I miss this beautiful city and can’t wait for a chance to go back 🙂 Thanks for sharing! 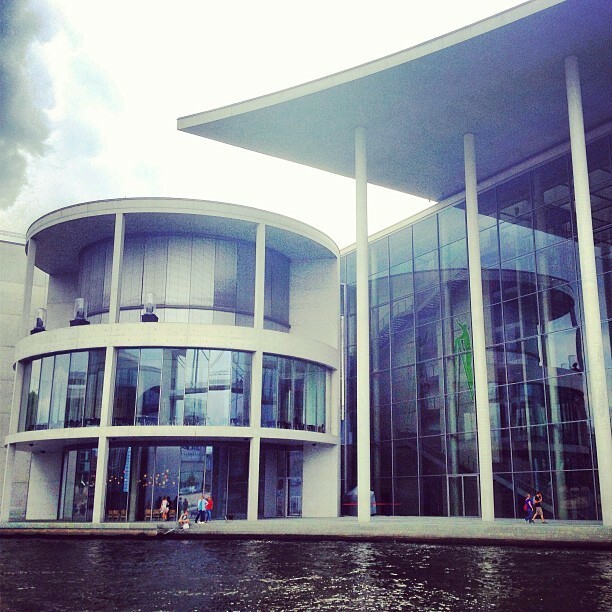 I hope you get to take a boat tour along the Spree as well. It’s such a different way to look at Berlin, the city I love. 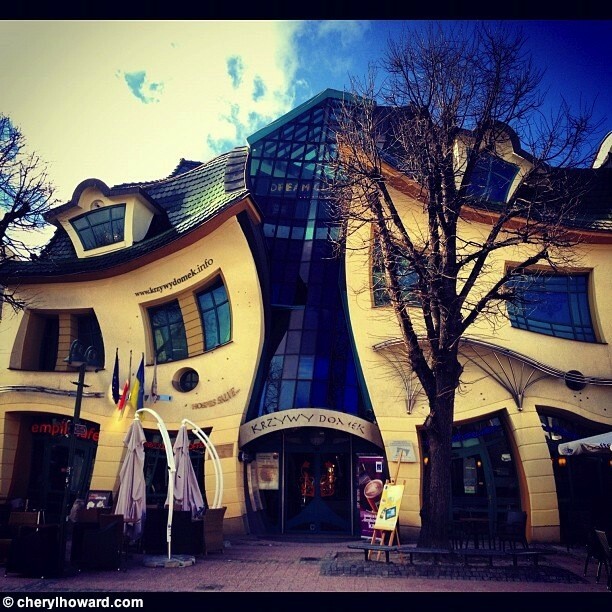 Instagramming Szczecin, Poland … Again.